After the Midterm elections, Michele Roberts speaks to environmental justice activists about what the election means for critical issues in their communities. Journalist Jon Jeter also weighs in on the elections: Did vote results in Florida and Georgia raise questions about the Me Too Movement? 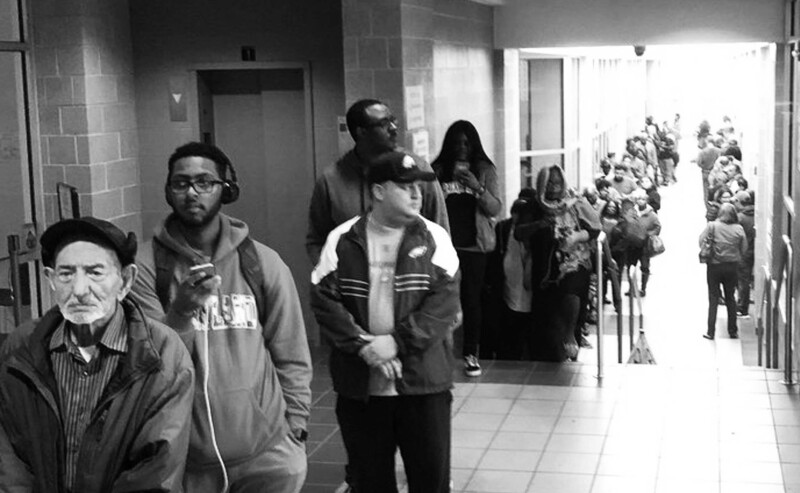 Pete Tucker reveals the ignored story of voter suppression in Maryland. While voting suppression tactics and irregularities in Georgia and Florida made national news this week, there was comparatively little attention to the same or worse conditions in Maryland. -In area activism news, DC Indymedia reported on a rally by Kurds outside the State Department against Turkey’s renewed bombing and shelling of Kurdish communities in northern Syria. Hundreds rallied in front of the White House on November 8th protesting the forced resignation of Attorney General Jeff Sessions and what many experts say is the illegal appointment of an interim AG without Congressional approval. And on November 7th, antifascist demonstrators demonstrated outside the northwest DC home of Fox News Show Host Tucker Carlson. -Sun, Nov. 11 9 AM EST there will be a VETERANS PEACE MARCH by Veterans For Peace, Military Families Speak Out and many others. Also on Nov. 11, there will be the Peace Congress to End U.S. Wars at Home and Abroad to build on the victory of getting Trump’s military parade cancelled and reclaiming Armistice Day. In culture and media: After Supreme Court Justice Ruth Bader Ginsburg fell and fractured three ribs, well wishers flooded social media with offers of their own ribs or organs. Philadelphia Rapper Meek Mill spoke on the criminal justice system at Georgetown University. And thousands are expected to attend Catharsis on the Mall, through Sunday, November 11th. This fourth straight year for the event exists, according to its organizers, to create accessible spaces for healing. CORRECTION: After our deadline, Tom Hucker called to tell us that The Washington Post quote that we cited on this show was not correctly reported by the Post. Hucker said he told the Post that there is “effective voter suppression,” not…”An attempt at voter suppression.” Also, Maryland Democrats did lose one seat in the State Senate, though they do maintain a super majority and can override any veto by the governor.